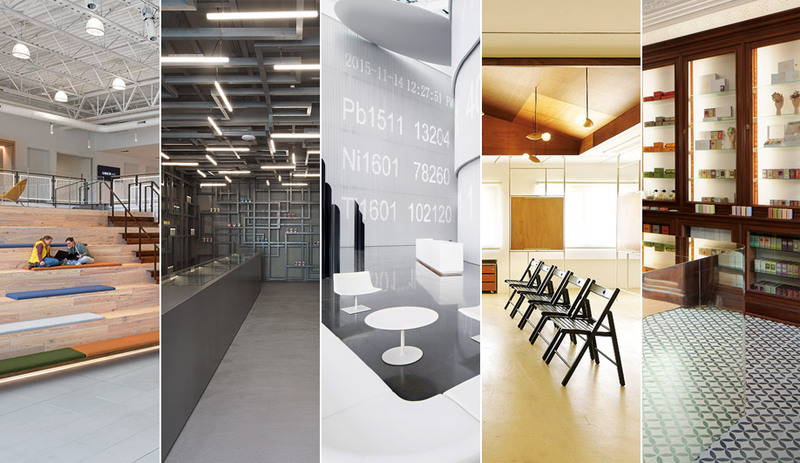 Five very different projects from around the world made the final cut for the Institutional and Commercial Interiors category, including a marijuana dispensary and an Uber office. Firm: Assembly Design Studio, U.S. In Pittsburgh’s frothing tech and manufacturing hub, Uber’s 7,500-square-metre facility feels suitably industrial for a space devoted to digital mapping, vehicle safety and autonomous transportation. Assembly Design Studio honoured the city’s history by accenting the futuristic prototyping plant with generous splashes of distressed Corten steel – a material used for everything from custom detailing to entire walls – much of it upcycled from salvaged materials by local furniture-maker Urban Tree. At the centre, two canted wooden grandstands double as vast stairways leading to the second floor, while in the showroom, the latest self-driving car prototypes are given exalted status: deus in machina. The Midwest Commodity Exchange Center, a marketplace for metal futures, is a seven-building complex in Xi’an – part of the Chinese government’s trade infrastructure initiative. At its centre, an impressive five-storey main lobby features cascading and curved interior walls of specially extruded aluminum. These vertical slats encase towering LED displays that show scrolling commodity symbols and prices at a massive scale, their digits pixelated by the walls’ slatted surfaces in a throwback to the traditional ticker displays of older exchanges. Undulating, tiered surfaces reappear throughout the interior, following a strict colour palette of white and grey varied with accents of gunmetal and wood. 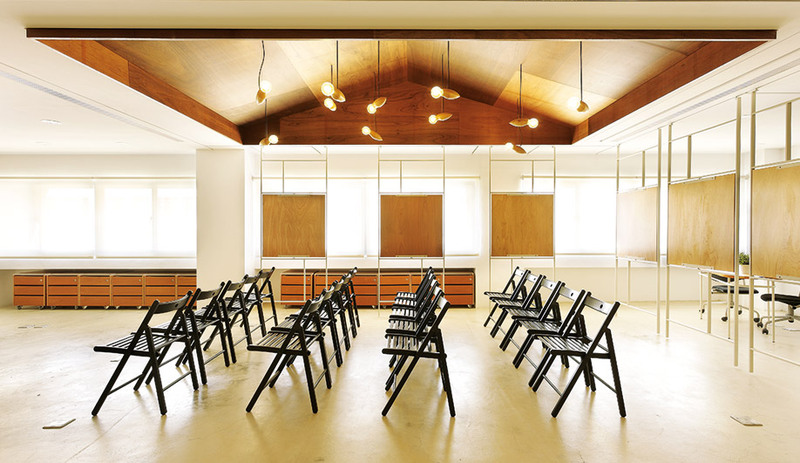 Taipei’s Fieldevo Design Studio invoked the relationship between tree and bird for the interior of this university startup lab – a roost for student entrepreneurs hatching their ideas. 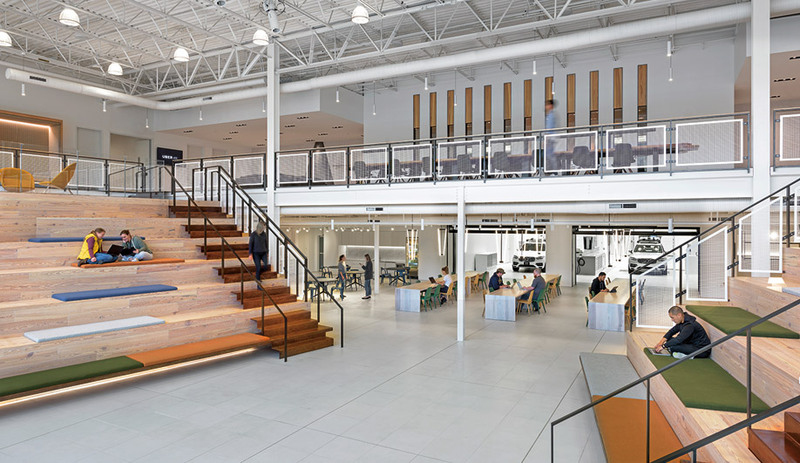 Four wood-framed boxes with pitched surfaces are set into the dropped ceiling, defining the open-concept space’s working areas from above, while maple key–inspired light fixtures spiral toward the ground, echoing the canopy theme. A system of metal frames secured to tracks in the ceiling holds large, pivoting plywood panels that serve as movable office partitions, with narrow gaps that offer smaller working groups privacy while maintaining a discreet visual link. 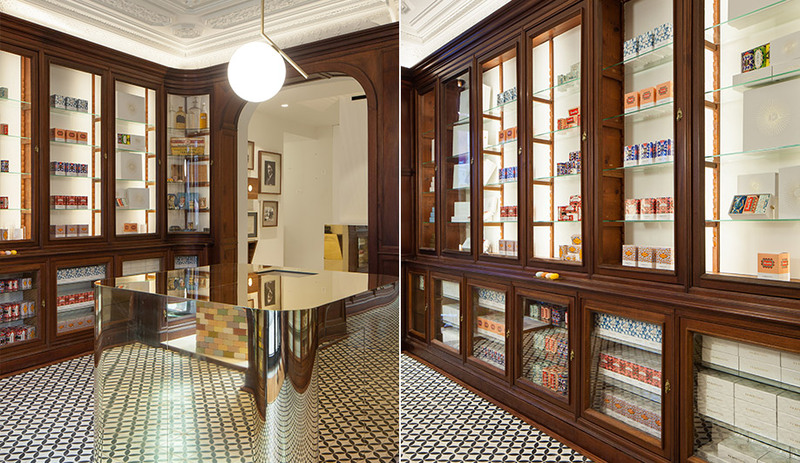 lith that reflects the 130-year-old fragrance brand’s beautifully packaged products, displayed in antique apothecary cabinets. Downstairs, the flagship storefront is a sleek and modern salon where doting stylists stow products out of sight in an archive of sleek wooden drawers. Maurice Mentjens didn’t dabble in trend-driven colour schemes for this cannabis and psychedelics dispensary. 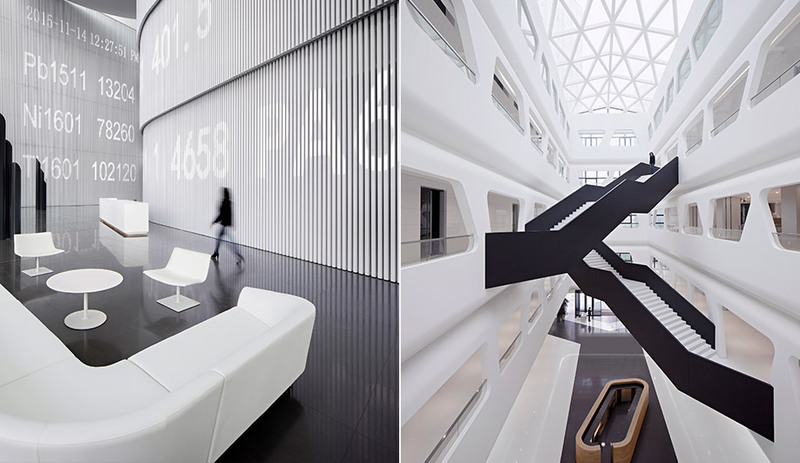 Instead, he opted to give his retail concept in Eindhoven, Netherlands, a flatly monochromatic interior. 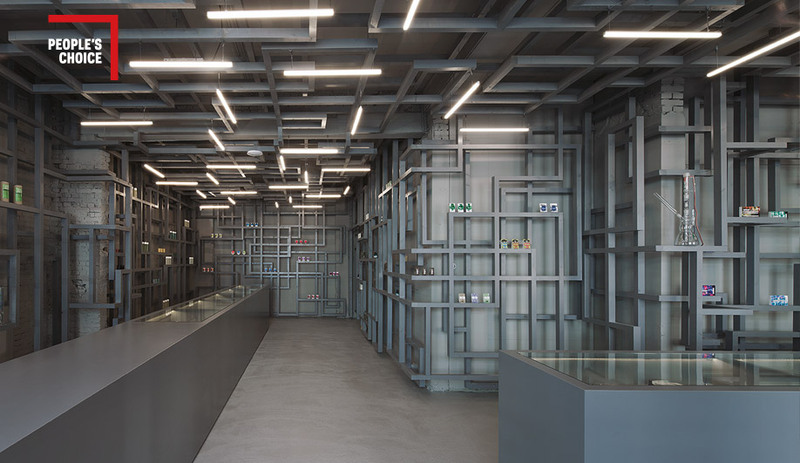 He then enhanced the walls and ceiling of the 85-square-metre shop with a dense maze of criss-crossing wooden shafts connected at right angles – an immersive installation reminiscent of the classic 3-D Pipes screensaver. More practically, the horizontal spans double as shelving for merchandise. Painted a ponderous grey, Mentjens’s eye-filling decor evokes neural networks, whether biological (like a brain’s cerebral cortex) or artificial (like the circuitry of a motherboard).